So, I called Yellow Leaf today to see what flavors they had for the day. Mr Shuck was 2 blocks away volunteering, so I called him to see if he’d pick me up a Mexican Chocolate cupcake. He agreed. I thought about it ALL DAY. I got in the car at the end of the day and was told he forgot! I still love him. Since I was in the cupcake mood (when am I not? ), we stopped off at Coffee to a Tea in West Seattle to see what Sugar Rush had to offer for the day. 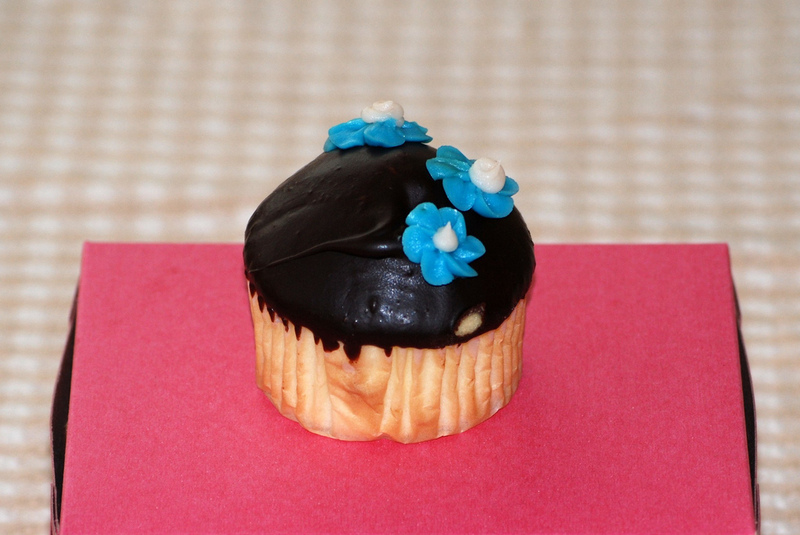 I chose a vanilla cupcake filled with chocolate mousse and dipped in chocolate ganache. 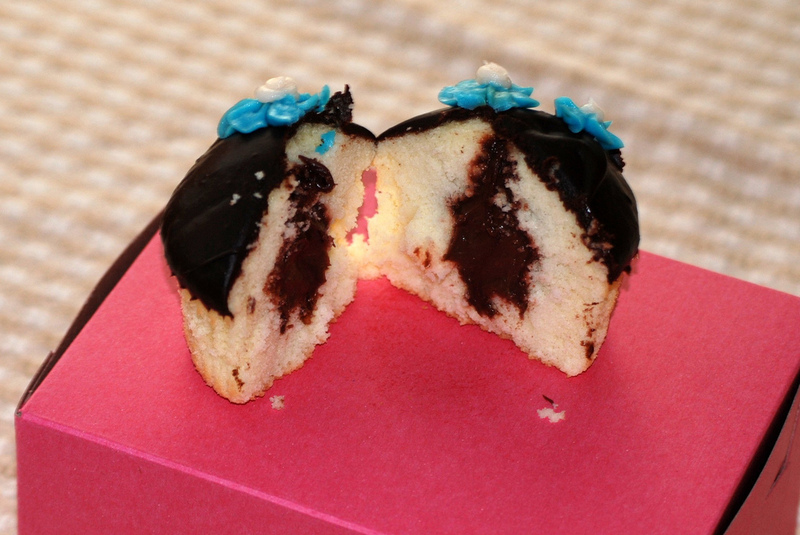 Vanilla filled with chocolate mousse dipped in chocolate ganache. My review: Extremely cute cupcake. I loved the little flowers. Very “Life is Good“. The ganache frosting was lovely. (I actually think the description said that it was truffle dipped.). The chocolate mousse inside was creamy, but tasted a lot like J-ello chocolate pudding. The cake was spongey. I don’t think I like the texture of sponge cake. I would eat it again if it was presented to me, but I wouldn’t go out of my way to purchase one. I want to try some of those so much now and I’ve never been a cupcake fan. Awesome blog!